Hold the date – Grand Opening of The Big Park 7th March 11-4 – Skate Jam, Puppet Shows, Cafe opening, interactive archeology and much more! It’s been a busy and exciting time at the Big Park this week. 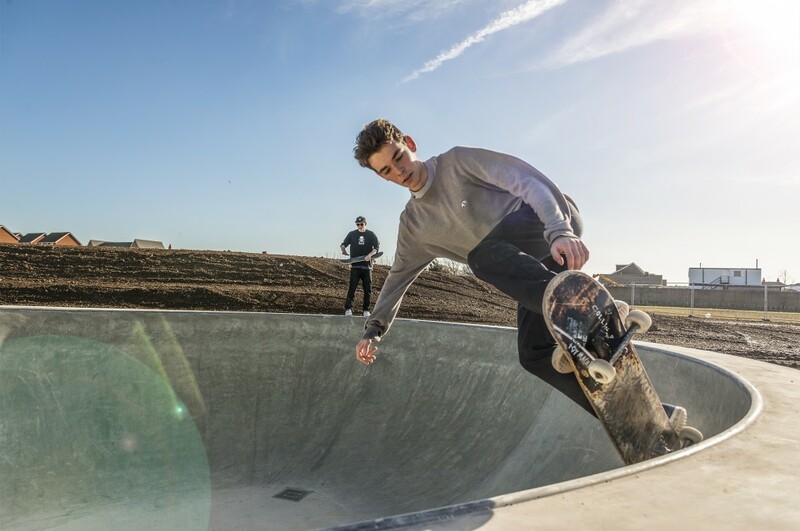 After much hard work and patience, local skaters finally got to try the new Zero Degrees Skate Park. The verdict was “it’s cool man” and on Saturday is was buzzing with kids on scooters, skateboards and bikes. It should be a well loved and used facility, a real asset to the park. Keith Pettit will be bringing his giant and awesome Gateway Totems to the site to join the dragon in the children’s play area. We are really looking forward to seeing them in situ. The community orchard came a step closer to fruition as local residents joined Brighton Permaculture Trust to plant the hedge belt of native trees. Thank you to everyone who took part. Many of you may have seen the progress of the children’s play area on site. We think it is looking fantastic! Here’s this week’s construction update. We’ve been busy this week laying turf, adding the Safety Matta Surfacing, installing the willow features. 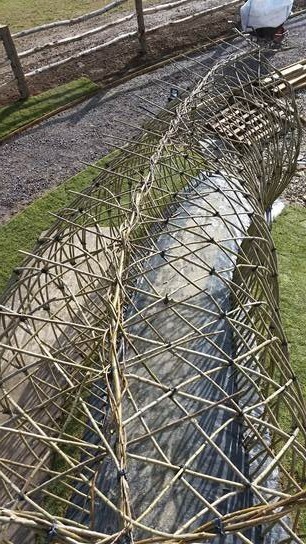 We’ve also added the unique Robinia Wool climbing holds to the traversing wall in the Adventure Area. In conjunction with that, we’ve installed the custom holds onto the climbing logs in the Toddler Area. 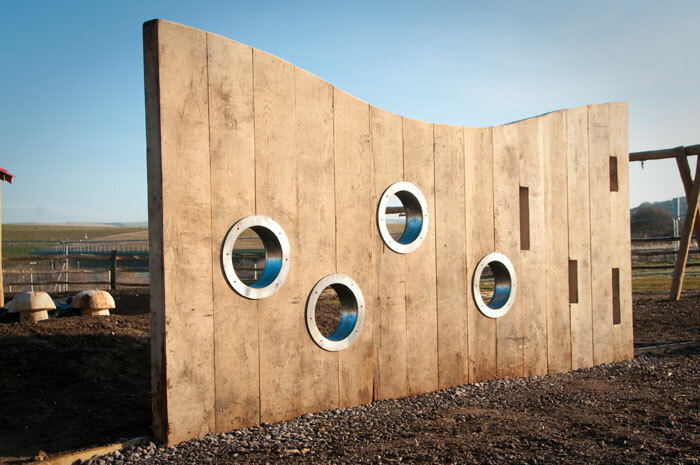 The Peek-A-Boo wall along with it’s fantastic Stainless Steel Portholes looks quite stunning in its chosen location. The Sun Shone on The Big Park!